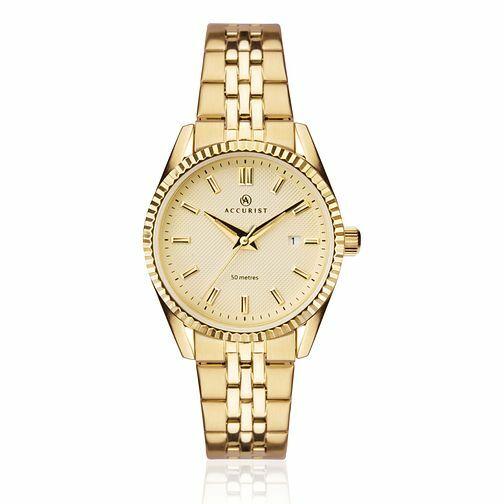 Add an effortless touch of elegance to your wrist with this ladies' watch from Accurist. Crafted from stainless steel, this gold plated design presents a charming matt cream face, featuring a date window. This watch is water resistant up to 50 metres.